Not long before her 21st birthday, Carlie Cope was window shopping at a stationery and gift shop with Kenzie Krogh, one of her closest friends. Krogh, a 20-year-old SESP junior from Durham, North Carolina, died Sunday morning with her family at her side at Saint Francis Hospital a day after being taken there by her friends. A cause of death has yet to be determined, but foul play is not suspected, police said. Danielle Hojnicki, who had been friends with Krogh since before Wildcat Welcome, described her as someone who “loved to love people.” Krogh was the “mom” figure of her friend group, Hojnicki said, and always provided for others. Krogh was also a driven person, Hojnicki said, constantly working to improve herself and make a difference in the world. The two would often reminisce about how much they had grown since freshman year and dream about the future of being “strong, independent women,” she said, and Krogh had been excited for her upcoming summer internship at Deloitte. In their statement, Krogh’s family members also remembered her hardworking nature. Tina Zheng, a close friend, said Krogh was always “trying to build a future for herself.” Zheng said she was constantly “on top of everything,” going through internship recruitment all of Fall Quarter and was constantly driven to learn and improve. And even after she accepted the internship, complete with a party her friends threw in her apartment with streamers (green, for Deloitte), she “didn’t back down,” Zheng said. This winter, Krogh began working as a research assistant at NU’s Relationships and Motivation Lab. Lydia Emery, a lab manager who had been a teaching assistant in one of Krogh’s classes, said in a report about her experience with Krogh that she was “blown away by her intellectual curiosity and enthusiasm for research,” according to Psychology and Kellogg Prof. Eli Finkel. Emery offered her the position at the lab, which she noted in the report she has almost never done without a full application. Finkel, head of RAMLAB, told The Daily in an email that Krogh was brilliant, energetic and fun as the newest addition to the lab. Krogh had also worked as a teaching assistant for the Kellogg School of Management and was already working on an honors thesis, according to her family’s statement. The statement said Krogh was passionate about women’s issues and had worked with reproductive rights group Lady Parts Justice League during the summer. In lieu of flowers, Krogh’s family is asking people to consider donating to the Chicago Foundation for Women. But despite her extensive accomplishments and drive, Cope said Krogh’s priority was her friends and family. Cope and Zheng said they remembered Krogh having an extremely close relationship with her father. She was happy to host and feed her friends, insisted on calling Ubers for them late at night and always cared about them before herself: It was always, “Let’s talk about you first,” Cope said. Hojnicki said Krogh was a welcoming presence for anyone who met her. 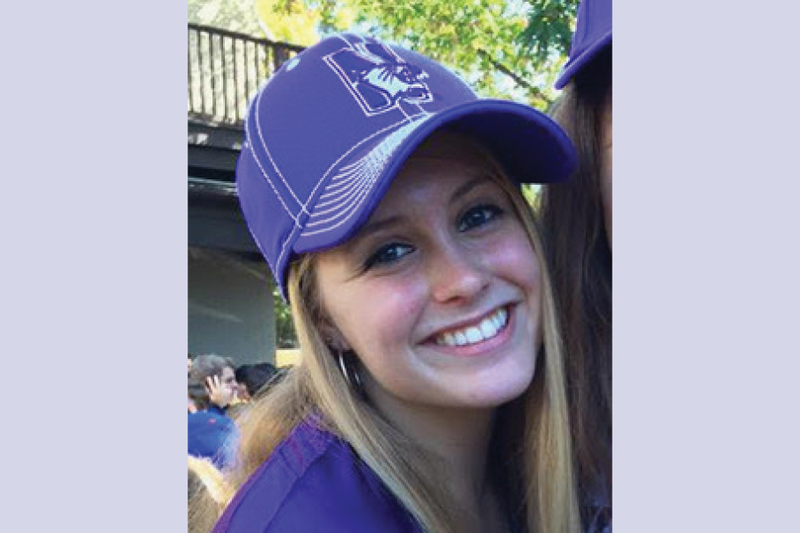 For Rachel Wolfe, a member of Gamma Phi Beta sorority who rushed as a sophomore transfer, going through recruitment with Krogh helped make her initial Greek experience easier and special. Wolfe described Krogh, who later deactivated from the sorority, as a “very warm” person. Krogh had a knack for making every experience feel special, Cope said. She would cater even the smallest things, like borrowing a shirt, to her friends and never failed to give without expecting anything in return.